Mount Airy Lumber Company Co. is a premier wooden pallet manufacturer and supplier to businesses of all sizes. We identify the unique pallet needs of our customers while offering competitive and timely solutions to meet individual goals and regulatory requirements. In addition to building the pallets on-site, we provide fast turnaround and delivery to meet the needs of our growing customers. Over 70% of all wooden pallets are now recycled; a much higher rate than aluminum, paper or plastic. Trees are not generally cut down to make pallets. The wood used for pallets is a by-product of the timber used in the construction of houses and furniture. There are more trees in the U.S. today than there were 70 years ago and the number of new trees still increases annually. U.S. industry harvests just 42% of the annual growth in hardwood timber that is biologically available to harvest. 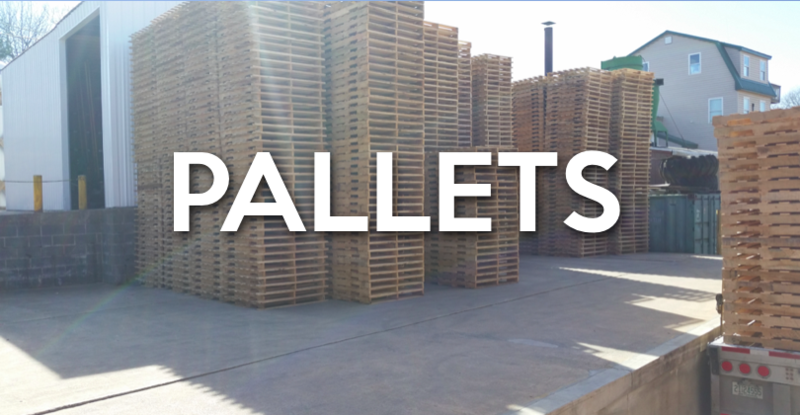 There are more than 1.8 billion pallets in service in the U.S. every day and 93% of these pallets are made of wood.